As we watch our favorite athletes complete feats of superhuman ability, we often forget that behind those improbable acts of strength and skill are regular human beings. At the 2016 Summer Olympics’ gymnastics team event, fans witnessed the result of thousands of hours spent training, traveling and competing. Five women wearing red, white and blue smiled from cheek to cheek with their teeth clenched onto Olympic gold medals — the culmination of their hard work. 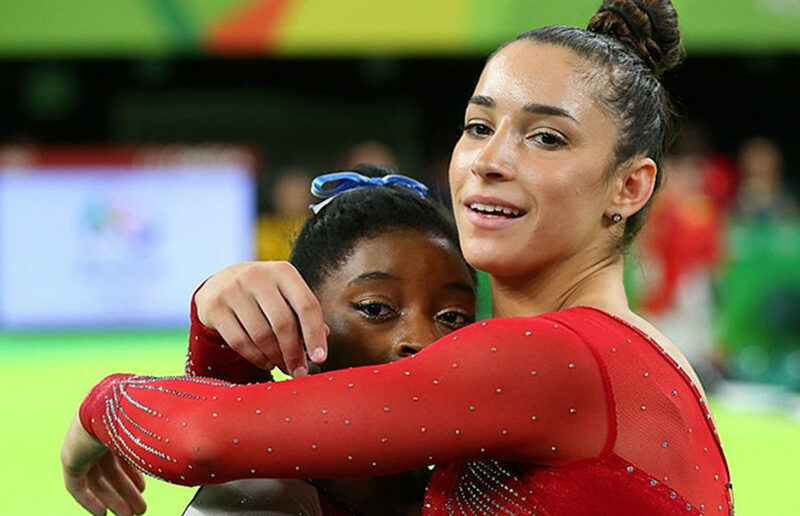 The “Final Five” — Aly Raisman, Simone Biles, Gabby Douglas, Laurie Hernandez and Madison Kocian — had become another group of iconic U.S. gymnasts that had won over the hearts of millions. Recently, the bubble in which we have placed these figures has ruptured. These women are a part of the most elite statistic in the world — the less than 1 percent of the population who become Olympians. But they are also now a part of the 17 million women and counting in the U.S. who have experienced sexual assault, and are some of the most recent faces of the #MeToo movement. While the filaments that have held together the ideal that sports are a safe haven have been fraying for years — amid controversies of violence and misbehavior — the recent trial of former U.S. gymnastics team doctor Larry Nassar has exploded this tightly knit ideal. The exposure of Nassar’s horrifying trend of abuse has shown that young athletes are just as susceptible to the evils and terrors of the human experience as the rest of us. What’s harrowing is that Nassar is by no means the first — or, sadly, the last — person to use his position of power in the sporting world to commit acts of abuse that have altered the lives of so many individuals. The public’s knowledge of this issue was awakened in 2011 by the trial of Jerry Sandusky at Penn State — in which he was accused of abusing young boys for years under the guise of a Penn State camp. While Nassar and Sandusky are two of the most clear cases that come to mind in public discourse, there are hundreds of other instances of reported abuse at the hands of coaches and trainers — and likely hundreds more that have gone unreported. Within the #MeToo movement, women all across the country on college campuses, including female student-athletes, are finding their voices and are beginning to speak up about some of the injustices they have endured. 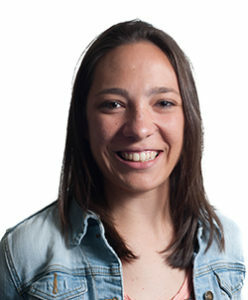 Even UC Berkeley is vulnerable to this troubling injustice, with former Cal women’s basketball player and current WNBA player Layshia Clarendon alleging charges against Mohammed Muqtar, the director of student services at Cal. Existing in this moment — filled with the realization of a massive trend of abhorrent behavior and abuse by some of the most powerful figures in the sporting world — can be, at the very least, disheartening. Sports possess a magical ability to make the impossible seem possible. And yet this same magical quality that draws millions to sports also has the ability to mask the concept that such elite-level athletes could exist and grow in such toxic, abusive work environments. Society’s extreme idealism regarding sports culture seems to stem from the fact that it is unfathomable that such high levels of success, dedication and hard work could potentially live alongside continuing anxiety, helplessness and persistent fear. Young athletes are particularly at risk of being victims of sexual abuse, as they are often placed in situations with clearly delineated power dynamics that have high-stakes consequences. If abuse does take place, athletes are afraid to speak out for fear of jeopardizing their future career prospects — careers that many of them have dreamt of from a young age. This creates a volatile phenomenon in which abuse is both more likely to occur and more likely to go unreported, leaving young athletes in potentially malignant situations that could drastically change the trajectory of their lives. It is soul-crushing to watch hundreds of women report abuse at the hands of a man who was supposed to be nurturing and healing their young bodies. It is heartbreaking to read one news story after another detailing some of our most cherished athletes falling victim to sexual assault. But despite these innate emotions, there is a silver lining to this moment — particularly in the world of athletics. Because of the women who stood up at Larry Nassar’s trial, other young girls who are put in such situations will know that they can speak out. Because of these news stories, those who engage in abuse — be it physical, emotional or psychological — are being held accountable for their actions, and are falling from the grace of our television screens and into the tombs of our minds. Because of the testimonials of those who were abused by loved ones at a young age, — ones like this by Breanna Stewart — every ally of a vulnerable child is more aware of what signs to look out for in order to prevent abuse. This is not to say that the #MeToo movement has shifted the paradigm of our society overnight. Deep-seated inequalities and power dynamics have existed, and will continue to exist, for a very long time. But what #MeToo has done is open the conversation. It has provided a springboard off of which we can all work to dislodge the systemic woes that have plagued so many. It has started a revolution in our cultural standards that has the potential to alter the rates at which we see and the ways in which we handle abuse. It has provided all of those who are at risk of being abused or those who have already faced abuse with an army of allies — a legion of tenacious and resilient survivors who together are unraveling and reweaving the fabric of our society.